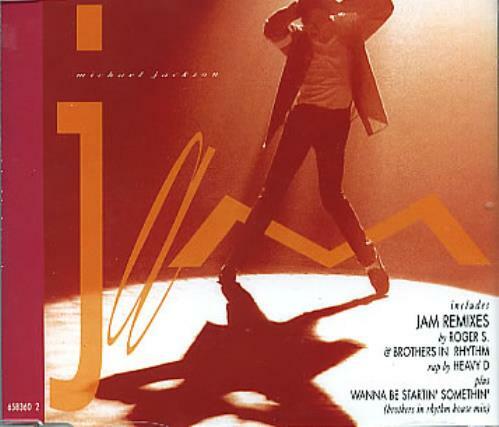 MICHAEL JACKSON Jam (1992 UK 4-track CD single including the 7" Edit and Roger's Jeep & Atlanta Techno mixes plus Wanna Be Startin' Somethin' [Brothers In Rhythm House Mix], housed in the slimline jewel case with the picture sleeve inlay). or visit our Michael Jackson image gallery. Track 4 is incorrectly listed on CD as: Jam (Atlanta Techno Mix). It is, in fact, Jam (Atlanta Techno Dub). It is listed correctly on the insert. While available on vinyl, to my knowledge, this is the only CD where this particular dub can be found.